Eyebrows are in the midst of a resurgence. From the catwalk to the street, with the oversized and immaculate arches of models Cara Delevingne and Bambi Northwood-Blythe leading the way, brows are now big business. And there’s a whole new category in brow plumping, shaping and enhancing products to prove it. So, whether you’re a complete brow novice, or are simply looking to up your brow game, we’re here to help you achieve picture perfect arches. From taming and shaping, to defining and maintaining we’ve got the lowdown on how to tackle your most face-framing features. 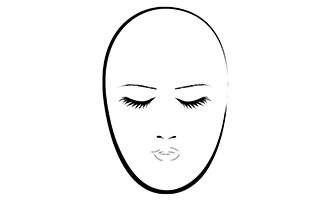 The first step in brow know-how is to find the most flattering eyebrow shape for your face. 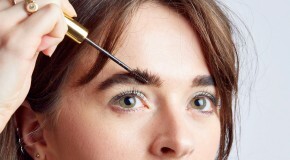 If you’re lucky enough to have never plucked your brows into oblivion (thanks, the 90s), it’s likely that your natural brow shape is the perfect one for your face, and will simply require some tidying. However, if you’re less fortunate, and your brows have gone rogue, look to the following method as a general rule of thumb for creating the perfect shape. 1. Use a makeup brush or pencil to determine where brows should start, arch and end. 2. Mark these key points by lightly dotting with a with concealer pencil. 3. 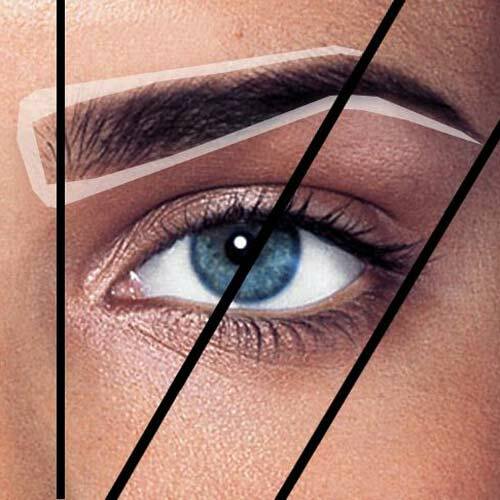 Use this guide to lightly scetch the brow shape with your brow pencil and fill with colour. 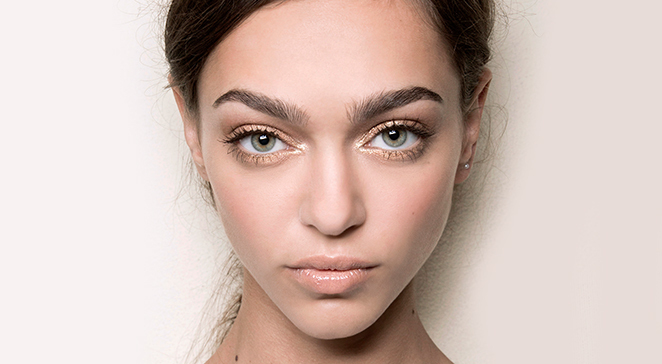 Whatever you do to your brows, never pluck above the eyebrow. Not only is this natural topline your best shape indicator, but by plucking above the eyebrow you’ll make it appear closer to the eye which is incredibly unflattering. 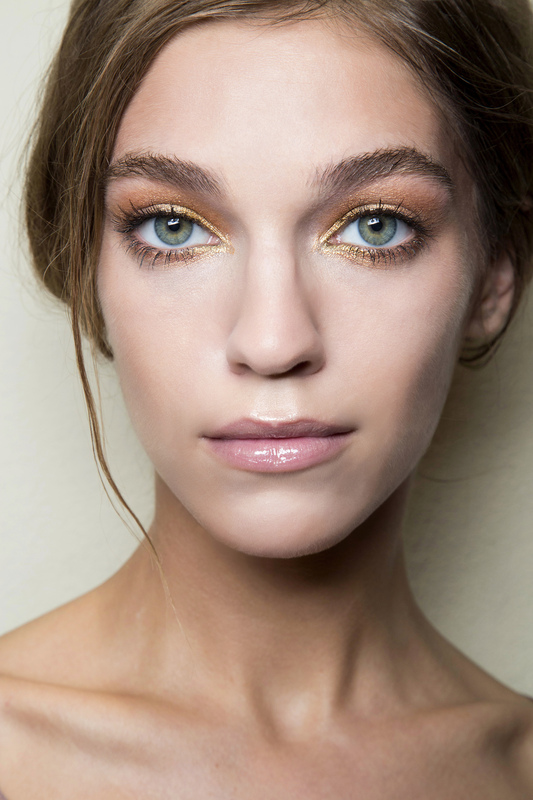 Instead, pluck below the eyebrow to create a clean line and give a wide-eyed look. Not sure which shape you should be working towards? If your natural brow shape isn’t defined enough to use as a guide, look to the face shape indicators below to help you decide. An oval face shape tends to suit a classic, slightly arched eyebrow, but the balanced oval shape will also support stronger, fuller and elongated brows, so feel free to play them up or down with brow-enhancing makeup accordingly. 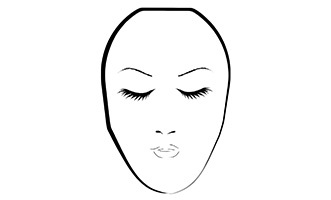 An elongated eyebrow shape with a low arch best suits long faces as it creates an optical break in the face, making it appear more proportioned. Extend the tail of your brow beyond the edge of your eye for the optimum balance. Sharply angled and high arched brows are the most flattering shape for round faces as they work to bring out definition and facial contours that round faces often lack, whilst at the same time visually widening the eye area. 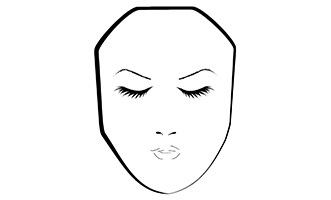 Square face shapes tend to be angular and well-defined and therefore suit a softer, slightly rounded brow shape. You can carry off fuller brows and a defined arch, but ensure any brow angles aren’t too severe as this will emphasise a strong jaw. A heart shaped face can be the most tricky to balance, as the eyes are already the central focus of the face. So forgo overtly bold-browed beauty trends and plump instead for low, subtly arched and natural-shaped brows that sit close to the brow bone. Diamond face shapes tend to be widest at the temples, and angular through the jaw. The most flattering eyebrow for this face shape is a softly curved brow that doesn’t trail too far from the outer corner of the eye. If you rebelled against your mother’s warnings and got over-zealous with the tweezers during your teens, now’s the time to rectify the situation. We’re not going to lie, growing out your brows is neither easy, nor fun, but it can (and should) be done, with a little resolve and some insider beauty knowledge. Your first step is to encourage re-growth by stimulating the hair follicles using a targeted treatment such as Talika’s Brow Lipocils; a clinically proven serum that encourages thicker, fuller brows. When you reach the inevitable ‘straggly’ phase; be strong, hide the tweezers and instead grab your most foolproof concealer. A daub of tone-on-tone cream concealer, blotted down and set using a touch of translucent powder will help to disguise patchy regrowth. 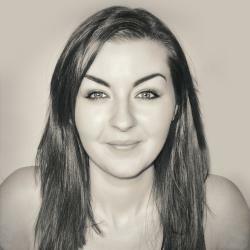 Whilst a tinted brow gel will go a long way to keeping brows nicely groomed during your growing-out phase and beyond. Brush upwards and outwards for definition and to tame any strays. For areas within the eyebrow where hairs simply refuse to grow back, a semi-permanent option is a great choice for long lasting (and waterproof) definition. 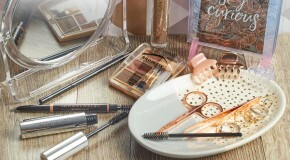 Chelsea Beautique semi permanent powders set down to a long lasting, smudge proof finish that looks totally natural and will see you through a full day and night. Alternatively, if you’ve lost hair along the outline of your eyebrow, and reshaping with makeup looks too false, brow-tattoos are a wonder-option. Don’t let the concept scare you as makeup tattooing has come on leaps and bounds over the last few years – and there’s not a needle in sight. We’d strongly recommend the Brow Resurrection at Browhaus, for the painstaking perfectionist approach to nailing your most natural shape and shade. Brows on fleek? 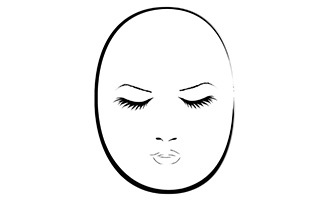 Then you’re really committed to the brow game and you’ll undoubtedly be mixing up your brow styles to match your mood. Snoozed too long and now have 5 minutes to get out the door? 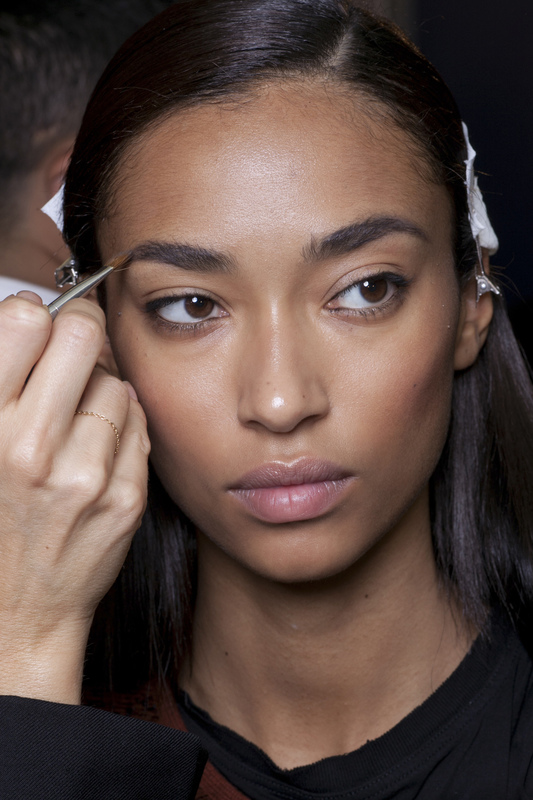 You need a super quick, foolproof brow definer. We rate Eye of Horus’ Dual Brow Perfect for those exact moments. The angled pencil tip is really firm, gives surprisingly good payoff and, unlike some of those buttery-soft pencils, really lasts. You can whizz it through brows to define and fill any patchy areas in seconds. Plus, the flipside of the tube boasts a brow gel and built-in brush for precision and staying-power! 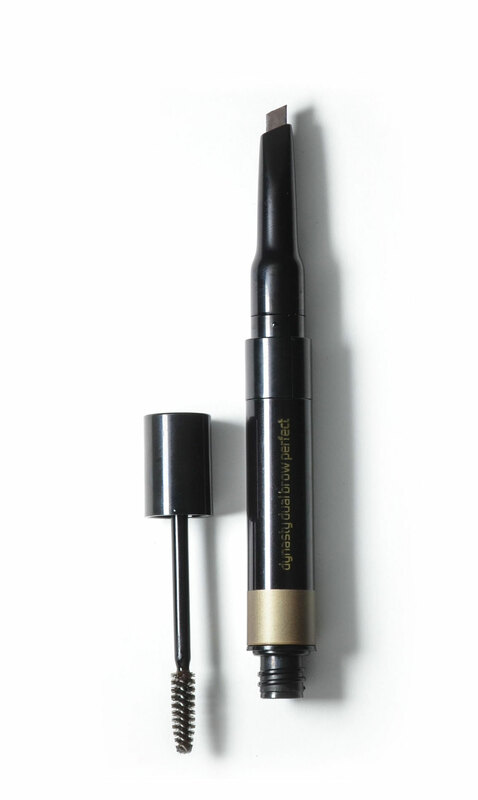 With this little beauty, your brows will never be left behind in the morning rush. If you’ve gone all out on a super smoky, intensely shimmering eye look – lacklustre brows just aren’t going to cut it. This is where all of your online brow stalking/research comes in handy. For the perfect arches, my can’t be beaten go-tos are the iconic Anastasia Beverly Hills Dipbrow Pomade, applied with a Zoeva Brow Line Brush. The Dipbrow Pomade has the most amazing creamy texture and intense colour pigments. Go sparingly and build colour as you go – trust me, it’s better to apply a little at a time than try to remove this long-wear formula. I like to line the lower brow line and blend up, line the top and blend down and then very carefully draw the tail. The Brow Line brush is perfect for this – the head is angled, short, wide and thin; it almost creates razor sharp brows on its own – although a steady hand won’t go amiss. If you’re heading to the gym, but can’t bear a totally naked face, eyebrows are where your time is best spent – a stay-in-place, brushed up brow will give your face definition without looking ‘done’. Save makeup application for after your workout, allowing skin to breathe whilst you sweat, and brush a tinted brow gel through eyebrows instead for a hint of colour and water-resistant hold. We recommend you make this the focal point of your look – pare back the eye makeup to a simple cat eye flick and mascara, and team with a pretty but barely-there lip tint. Whether you like the ease of once-a-month salon visits, or prefer to tweeze at home, the perfect arches require a certain level of commitment. We sought the advice of brow experts Vanita Parti, founder of Blink Brow Bar, and Shavata Singh, of her eponymous brow grooming brand , Shavata, in order to bring you the low-down on surefire ways to fabulous brows. Fun fact – did you know that there is a 6 week cycle of brow hair growth, where old brows shed and baby fine hairs come through? As Vanita Parti, founder of Blink Brow Bar explains “this is where most of us get slightly worried, we tend to think we are losing the hairs as they do not appear as prominent.” She has some words of comfort, though, “don’t panic, this is only part of the hair life cycle – the hairs are there, just not as visible.” She recommends tinting as a great way of making brows look fuller, as each hair will be defined. To help speed the growth cycle, there are now a number of easy-to-use, hi-science products created specifically to do so. Typically in oil or serum formulas, they work to nourish and stimulate the skin at the follicle, encouraging growth and strengthening the hair itself so that it’s life cycle lasts that little longer. The perfect way to combat those over-plucked brows, circa 1990s, these serums mean you could actually treat your way to Cara-esque brows in as little as a few weeks.